Intricate designs of ocean inspired curios, in her warehouse studio in Melbourne’s inner North, Megan transforms organic shapes into solid form. Jewellery designer and founder of Megan Moss Jewellery, Megan’s pieces are all hand crafted in silver and gold and detailed with precious stones. From a humble rural upbringing, her hand crafted pieces informed by her environmental awareness and love of the sea and all of its inhabitants – be they real or mystical. 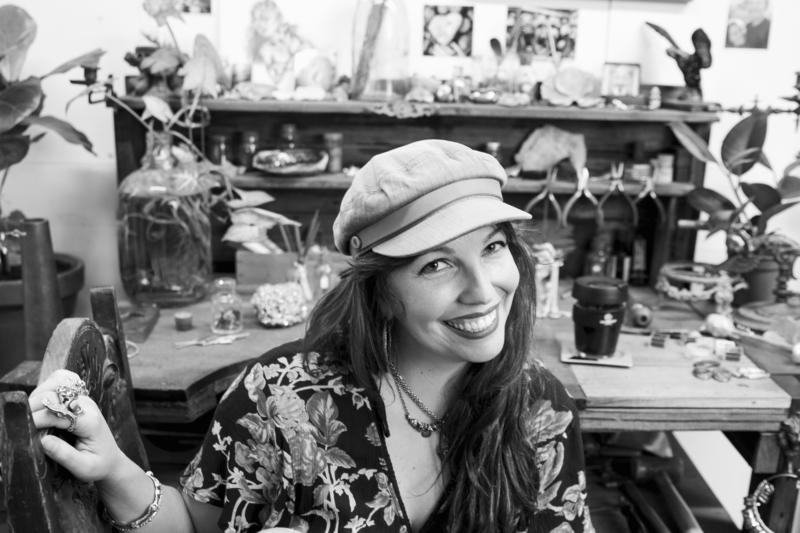 Megan’s business has been gradually building and she now faces issues that all small business owners can relate to; the demand of wearing every hat in the business, creating and managing a pipeline of work, and the unique challenge of how to keep both your art and your business moving forward. As one of The Grinders Grant recipients of 2019, Megan will grow her business into custom designs and pieces that tell the stories specifically to her customers.